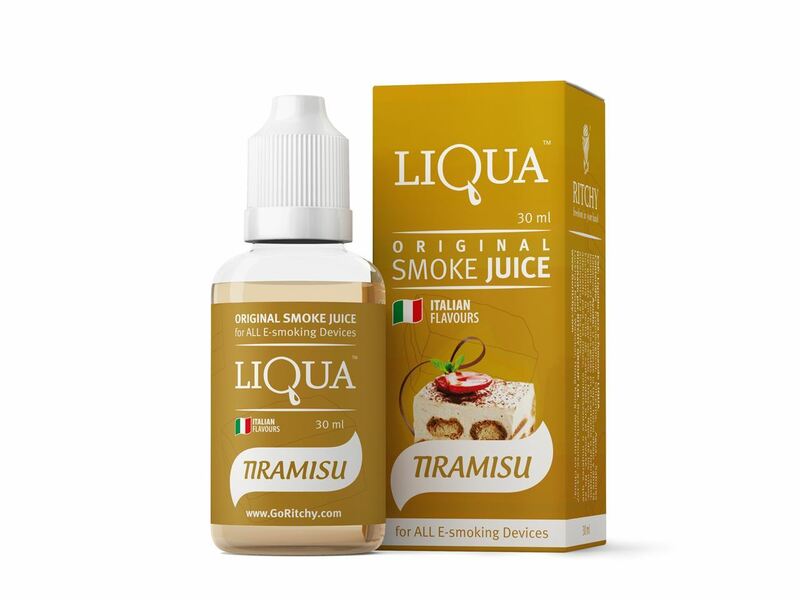 Buy Liqua Smoke Juice - Tiramisu 30ml in Melbourne, Australia. Free Delivery* and Discount. So what is Liqua smoke juice- Tiramisu 30ml? Tiramisu reflects our best endeavour of one of Italy's most mainstream pastries. It offers you a sweet-smelling fragrance of newly cooked espresso coffee, a touch of cocoa, and a durable flavor that helps numerous of our LIQUA clients of a sweet tasting roll. Smoke Juice Tiramisu reflects reliably the best taste of the famous Italian dessert. It offers a rich fragrance of simmered espresso and cocoa with durable milk flavor. The fine consummation reminds the most loved sweet biscuit. LIQUA’s full range of tastes are designed carefully by those who really know what theyshould be – the most professional flavorists from Italy. That means LIQUA’s Tobacco taste is truly right - as fresh as natural leaf Tobacco. LIQUA Tiramisu flavor is as juicy as a real green Tiramisu, and LIQUA Tiramisu – tastes as good as what you’ve got in your morning cup. Enjoy recharging your electronic cigarette in just a few seconds. Our specifically designed silicone spout and soft bottle structure perfectly fits all e-cigarette starter kit tank system as well as open-type cartridges (eGo, 510, Kanger AeroTank, Aspire Nautilus). UseLiqUA Vape Juice to refill your device and experience hassle free vaping. LIQUA E-Liquid vape Juice flavours withstand the highest standards of production set by United States Pharmacopeia and use only USP ingredients and European food flavours. Our customers always thinking where to buy Liqua smoke juice in Melbourne, Australia? and the answer is eCig World is the only place where you can get discount and free shipping with Australia wide express delivery.